Rob is the quintessential British Lab with impeccable manners at the line, in the blind, and in the house. His marking ability is second to none, and he runs blinds with confidence on land and in water. Liz is a petite British Lab with a sweet temperament and fierce prey drive. Both Rob and Liz are titled through HRC and will continue testing in 2019. 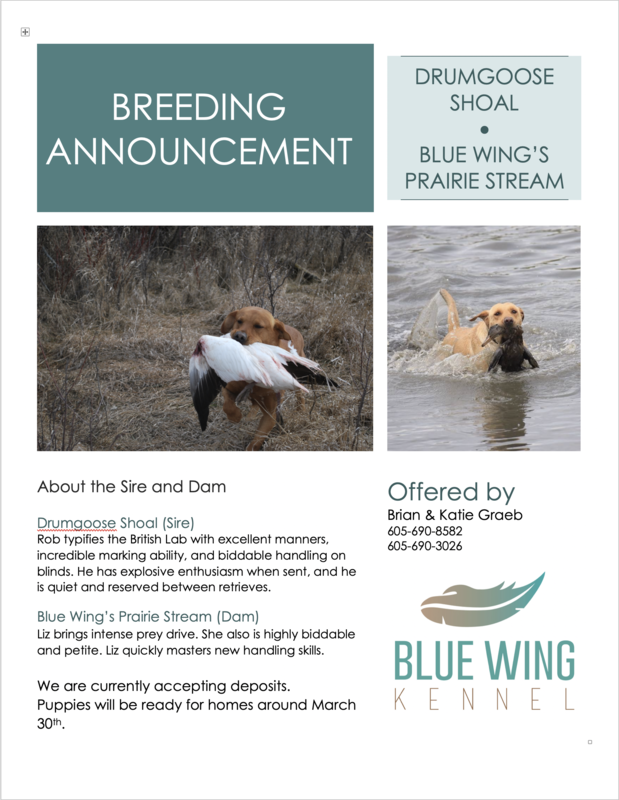 We expect fox red and yellow pups that will reach 40-70lbs at full maturity. WE ARE CURRENTLY ACCEPTING DEPOSITS. PUPPIES were whelped february 2nd and WILL BE READY FOR HOMES March 30th.